I came to Congress when my youngest child Alexandra was a senior in high school and practically on her way to college. I knew that my male colleagues had come when they were 30. They had a jump on me because they didn't have to, children to stay home. Now, I did what I wanted to do, I was blessed to have that opportunity to sequentially raise my family and then come to Congress. But I wanted women to be here in greater numbers at an earlier age so that their seniority would start to account much sooner. 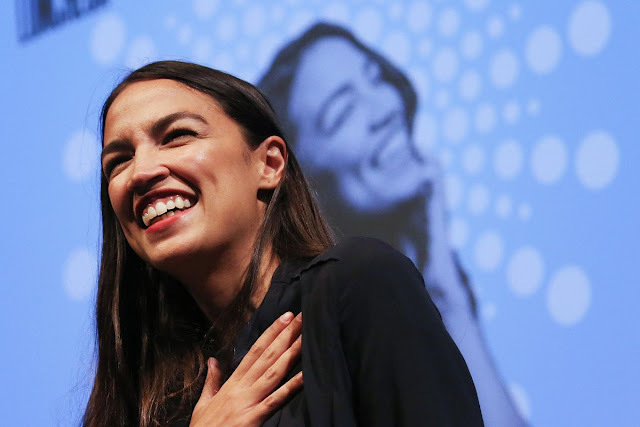 This week, New York’s Alexandria Ocasio-Cortez became the youngest woman ever elected to Congress, at 29—and she will have peers. Abby Finkenauer, elected in Iowa, is less than a year older—she’ll turn 30 between the election and being sworn in. Lauren Underwood, elected in Illinois, turned 32 last month. Sharice Davids, Ilhan Omar, and Abigail Spanberger are under 40. Several other Democratic women in their early 40s were also elected to the House. This means a generation of women are getting that early start that Pelosi’s male peers had, and will have time to climb up the House leadership or move to higher office—maybe the highest. And it means that Congress will feel a little less distant to a generation of young women voters. The bench is full of young women phenoms. This is a very good thing.